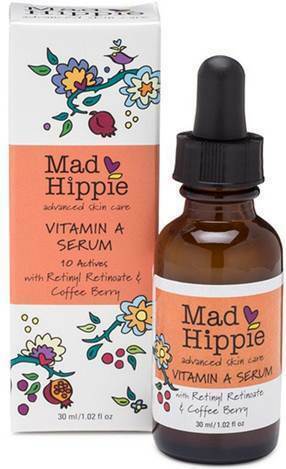 Mad Hippie is pleased to announce their newest product launch, the Vitamin A Serum . This new form of vitamin A that consists of a retinoic acid bonded with a retinol. When absorbed into the skin, the two molecules immediately divide, making retinyl retinoate one metabolic step away from the active form of vitamin A. The retinoic acid then delivers immediate exfoliation, while the retinol delivers a time released exfoliation. Retinyl Retinoate : Exfoliates by enhancing cellular turnover, erasing wrinkles and discoloration. Retinyl retinoate has been shown in studies to induce less water loss (dryness) than both retinol and retinoic acid. Coffee Berry : An antioxidant-rich superfruit that enhances collage production and neutralizes aging free radicals. Phytoceramide : Helps replenish the skin’s natural lipid barrier. 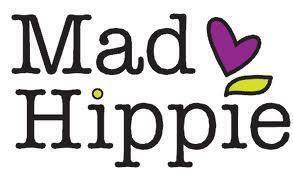 Aids in healing and moisture retention, leading to more plumped up, hydrated skin. Sodium Hyaluronate : The salt of hyaluronic acid, sodium hyaluronate has been shown to have better skin penetrating capabilities than hyaluronic acid alone. Works to plump up and moisturize skin while reducing the appearance of wrinkles. Oat Beta Glucan : Naturally hydrates and protects the skin while aiding in healing. Oat beta glucan has been shown to reduce inflammation and diminish the appearance of wrinkles while also having a tightening effect. Alpha Lipoic Acid : A powerful antioxidant with anti-inflammatory qualities that has been shown to reduce the appearance of wrinkles. Coconut Oil: Moisturizes and soothes skin while creating a lipid barrier that fends off skin damage. Combats wrinkles and discoloration while promoting natural healing of the skin. My thoughts: I absolutely love this Vitamin A Serum! I have been using it for about two weeks now. It is the first product I apply after washing my face at night. I apply this amazing serum all over my face, neck and upper chest area. I allow it to absorb before I add my night cream. I have definitely noticed a firming and a smoothness to my skin. My face looks nice and luminous, and the wrinkles are plumped out and barely visible.